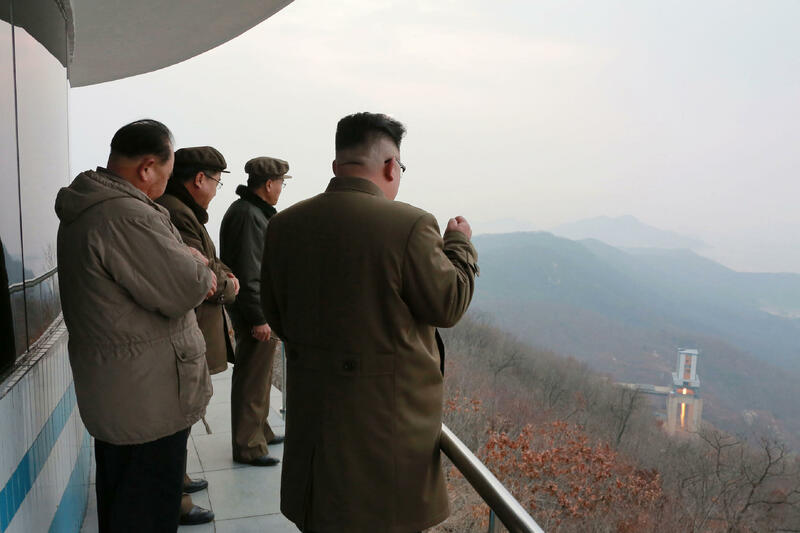 North Korean leader Kim Jong Un has committed to the U.S. that North Korea will destroy the Ch'olsan County, North Pyongan province testing site, which sometimes is referred to as the Sohae Satellite Launching Ground, CBS News reports. This agreement was made when President Trump and North Korean leader Kim Jong Un met in Singapore earlier this month, administration officials confirmed. This is the missile test engine site that Trump had mentioned after their meeting, though at the time he did not name it. North Korea has used the Sohae Satellite Launching Ground to test liquid propellant engines for its long range ballistic missiles. Experts also say that this site is believed to be where the Hwasong-15 intercontinental ballistic missile, which can target the U.S. mainland, was developed. This rocket engine test facility can be used for space launch and IBCM launching which are the delivery mechanism for nuclear weapons. Bob Carlin, a former North Korea intelligence adviser for the State Department North Korea, tells CBS News it is significant that the North is destroying this testing site because it is one of the largest in the country. At the summit, Kim promised that North Korea would destroy a missile engine test stand "soon," according to administration officials. But there is still no set timeline for the demolition that the White House is willing to publicly reveal. "The United States will continue to monitor this site closely as we move forward in our negotiations," said a senior administration official. Working-level officials charged with carrying out commitments made at the summit have not have the easiest time planning the way forward because the agreements were made at the top levels. The Trump administration's approach is "flipping the whole thing on its head," said one official. Traditionally, it is the working level where negotiations begin and agreements are made before they are escalated to the higher levels. This was not the way U.S.-North Korea negotiations have so far played out between Mr. Trump and Kim. And now, the process is not being filtered down to all working levels. Some officials are frustrated, though others say that this may still have been the better approach in the long run. "These things are always much better, and much more productive, if they are top-down," said a State department official. Meanwhile, as the administration works to shape the way forward with the North Korea negotiations, there are frustrations on the hill that Pompeo has not yet briefed lawmakers on the Singapore summit. The Pentagon is also being left out of the loop on North Korea. One source tells CBS News the Defense Department is essentially in "receipt mode." It is not playing a major role in the policy moves that are being made right now on North Korea. There was a "vortex" in the building when Trump announced the U.S.-SK joint exercise halt, which CBS News' David Martin reported earlier this month. One thing to note here is that Pompeo's DOD liaison had not yet started traveling with the him when the Singapore trip took place. That person will start soon, but it makes communications lapses more common when that staffer is not in place. But officials note that Pompeo or anyone from the White House could also have phoned the Pentagon, too.